New Orleans Plantation Country has a story to tell. So will you! In New Orleans Plantation Country, between New Orleans and Baton Rouge, your students can visit history at ten majestic plantations with a storied past, enjoy delicious Louisiana cuisine and embark on exhilarating swamp tours! Comfortable accommodations will allow your group days of exploration. 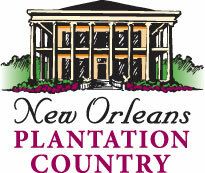 Visit New Orleans Plantation Country!